Both bands deliver new studio stuff, 10min each side of pure noisecore insanity!! Wolfgang Amadeus Motzart. 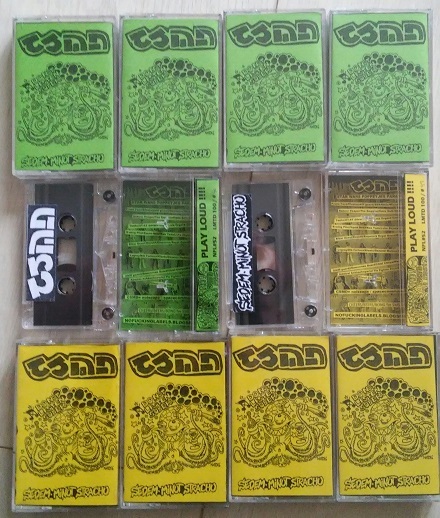 Lmtd 100 copies only, pro duplicated factory tapes. 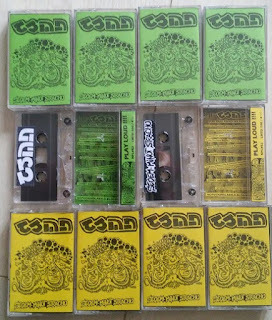 Hand numbered with 50/50 green/yellow covers. Protective earplugs not included! DO NOT LISTEN SOBER !!! !